The classification of enforcement is based on the convention countries' enforcement actions in the period 2014-2017. It said the real losers will be the global economy and people in countries affected by exported corruption, especially grand corruption. India is among four countries with “no or little enforcement” mechanism to check foreign bribery, according to a report released Wednesday by anti-corruption organisation Transparency International. Citing cases of alleged bribery by foreign firms including in a deal of 12 helicopters by Italy-based firm AgustaWestland, it asked India to criminalise foreign bribery and introduce effective legislation to protect whistleblowers in the private sector. “If China, Hong Kong, India and Singapore do not enforce hard-won international standards for conducting business, competitors from countries that do enforce will find themselves disadvantaged. This may lead to a reduction in enforcement, destabilising the global marketplace,” said the 2018 edition of the ‘Exporting Corruption Report’. The classification of enforcement is based on the convention countries’ enforcement actions in the period 2014-2017. It said the real losers will be the global economy and people in countries affected by exported corruption, especially grand corruption. “In this 2018 report, China, Hong Kong, India and Singapore –- all with 2 per cent or more of world exports, but not parties to the OECD (Anti-Bribery) Convention –- are classified for the first time and all fall into the lowest level (little or no enforcement). This poor performance argues for these countries’ accession to the OECD Anti-Bribery Convention,” the finding said. They are, however, parties to the UN Convention against Corruption, which also calls for enforcement against foreign bribery. Transparency International urges them to join the OECD Anti-Bribery Convention, it said. The OECD Anti-Bribery Convention was adopted in 1997 to address the supply side of international corruption. There are now 44 parties to the convention, 36 of them members of the OECD (Organisation for Economic Cooperation and Development). “Despite their obligations under the UN Convention against Corruption, China, India and Hong Kong have not initiated any enforcement against foreign bribery and related offences, undermining the multilateral consensus that action in this area is essential. They should promptly initiate enforcement, and publish data on enforcement results and case resolutions,” it said. The Indian government does not publish statistics on its foreign bribery enforcement and does not disclose such statistics on request, the report said. “The authorities do not disclose any information about unpublished cases related to bribery of foreign public officials by Indians. It is also not clear whether the governmental enforcement and investigative agencies collect information related to foreign bribery, separately or not,” it said. 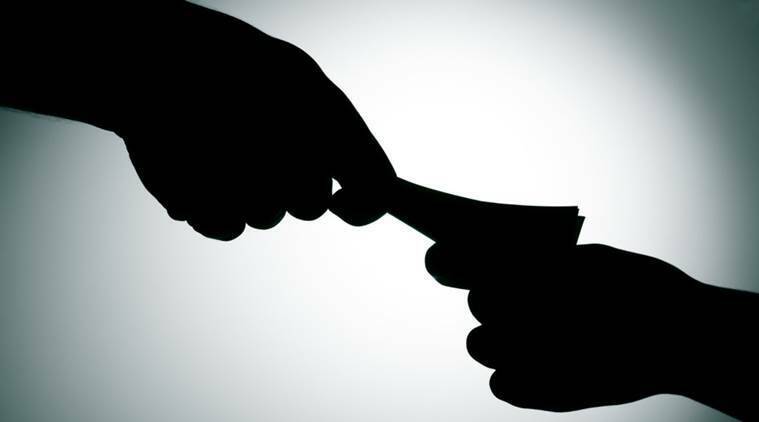 The report said in July 2018, the Indian Parliament passed a bill amending the present Prevention of Corruption Act, which covers bribe payers for the first time. “The bill also covers agents, subsidiaries and subcontractors of foreign firms working in India or doing business with Indian entities,” it said. As foreign bribery is not yet criminalised in India, the adequacy of the enforcement system in relation to this specific offence cannot be assessed, said the report, which was released in Berlin. “However, certain shortcomings in the enforcement system, in particular those evident from current enforcement of domestic corruption, are also a concern for foreign bribery enforcement. In particular, while the Indian Penal Code and Prevention of Corruption Act prescribe criminal and civil liability for domestic corruption, the reality is that actions taken against the perpetrators have been few,” it said. The report cited inadequacies in implementation of Mutual Legal Assistance (MLA) Treaty. “India has signed mutual legal assistance (MLA) treaties with 39 countries. The Ministry of Home Affairs is the central authority for seeking and providing MLA in criminal law matters. The translation of documents into foreign languages is a major factor slowing down the MLA process,” it said. The report cited several cases of alleged bribery or attempts to bribe Indian government officials by foreign firms including France-based Airbus, saying India was among 16 countries targeted by alleged bribery. “In 2017, the Ontario Court of Appeal upheld the 2013 conviction of a Canadian man for conspiring to bribe Indian public officials, including a minister, in a failed bid to win a major contract for Cryptometrics Canada ( a firm) to supply security-screening equipment to Air India,” the report said, giving details of Canada which according to it has “limited enforcement”. Briefing about Italy with “active enforcement”, it said that in 2016, an Italian appellate court overturned a previous lower court ruling and sentenced a former chief executive of Finmeccanica (now Leonardo S.p.A.) and a former head of AgustaWestland (a subsidiary of Finmeccanica) to four-and-a-half years and four years in prison, respectively, and a fine of Euro 7.5 million, for corruption and falsifying invoices. “The trial concerned alleged bribes in a Euro 560-million contract awarded to AgustaWestland in 2010 to supply 12 helicopters to India,” the report said.